Fisker revealed a new car called the Atlantic at the New York auto show earlier this year. 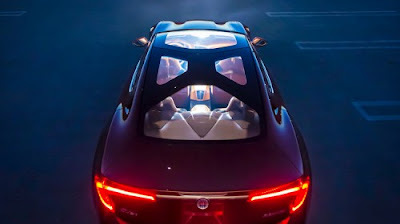 The Fisker Atlantic is meant to be a more affordable extended range electric vehicle. Until now, however, Fisker had revealed very few details on the new car, but fortunately documents leaked online give us a better idea of what’s under the hood. As in the Karma, the Atlantic will be driven by electric motors, with a lithium-ion battery recharged by an on-board gasoline engine. The Karma uses a turbocharged 2.0-liter General Motors engine, but Fisker announced last fall it had signed a deal to use turbocharged four-cylinder BMW engines. Now we know how powerful they will be: according to these leaked documents, the BMW turbo engines will provide 300 hp in the Atlantic. The leak also tells us that Fisker expects the Atlantic to hit 60 mph in 6.5 seconds. Fisker will price the Atlantic from $50,000 to $60,000, and lists among its competitive vehicles the Audi S4 and A6, BMW 3 and 5 Series, Mercedes-Benz C- and E-Class, and Jaguar XF. We were previously told the Atlantic would be about the size of an Audi A5, and that it would be priced on par with the BMW 3 Series. Still, the predicted price range is only about half the entry price of a Fisker Karma, which starts at $103,000 after a $1000 destination charge.